Bus to Ban Phe: There are hourly bus services from Ekkamai Bus Station to Ban Phe pier from 06.00 to 17.00. The bus costs 240 THB. From Ban Phe there are a variety of passenger ferry and speedboat services to Koh Samet. 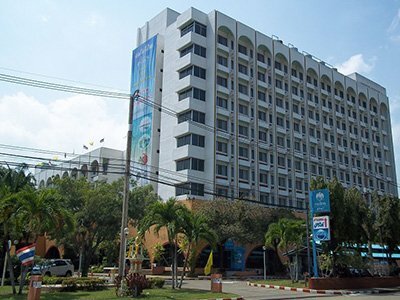 Via Rayong Town: From Morchit Bus Station there are minivan services from 07.30 until 16.30 to Rayong Town. From Rayong Bus Station it is a 29.7 km journey by shared or private taxi to Ban Phe Pier. 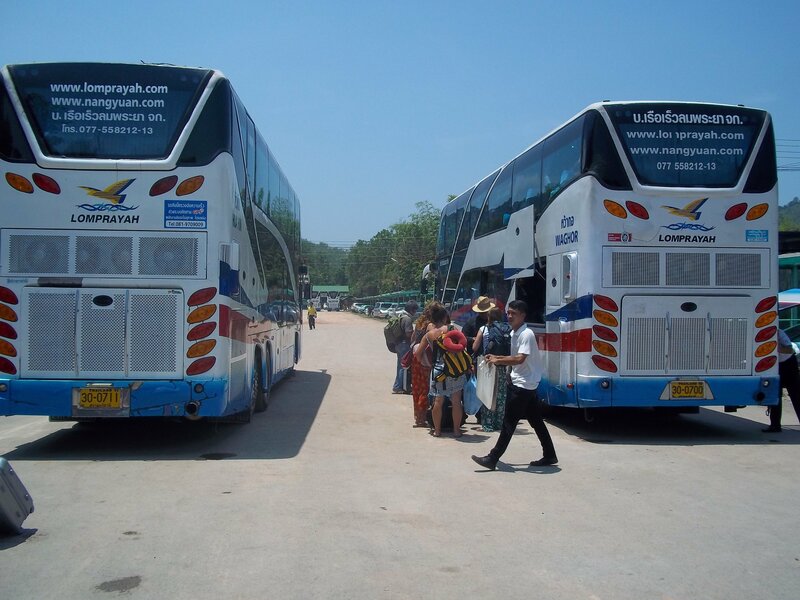 Joint Tickets from the Khao San Road: Travel agents in the Khao San Road area operate minivan services which take passengers direct from the Khao San Road to Ban Phe Pier to connect with the passenger ferry to Koh Samet. These services are slightly more expensive than travelling independently by bus and ferry, but they are quicker and take the effort out of travelling to the bus station in Bangkok and working out which a number of different piers you need to go to once you eventually reach Ban Phe. The Mama Travel service departs from the Mama Travel Office on the Khao San Road. Both services take passengers direct to the main ferry pier. To travel more cheaply from Bangkok to Koh Samet change the destination to ‘Rayong’ to book minivan services from Morchit Bus Station (Bangkok’s Northern Bus Terminal) to Rayong from where you can take a shared taxi to Ban Phe. 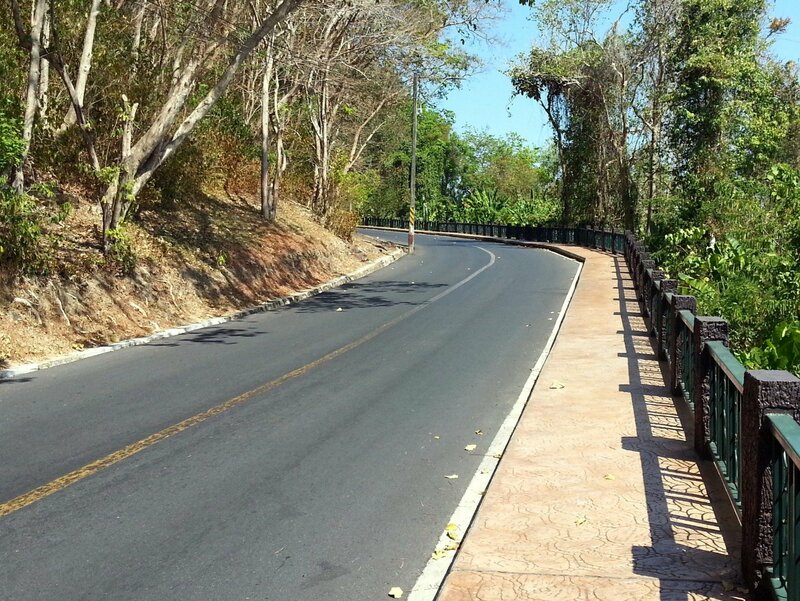 The first stage of the journey from Bangkok to Koh Samet is by road to small town of Ban Phe to catch a boat to Koh Samet. The journey by road from Bangkok to Ban Phe around is 200 km, which should take about 3 hours 30 minutes. If you are travelling via Rayong town the best way to get from Rayong to Ban Phe is to take a shared taxi from the bus station to Ban Phe. The journey takes from Rayong to Ban Phe takes around 40 minutes and should cost 40 THB. Be sure to check the price before you set off. The easier option is to take the bus direct to Ban Phe from Ekkamai Bus Station (which is very close to Ekkamai BTS station on the Sukhumvit Road) or alternatively to take one of the minivan services if you are staying in the Khao San Road area as you will need to spend money on a taxi from Khao San Road to either of the two bus station and the cost of the taxi will outweigh any savings you might have made by taking the bus. The journey becomes a bit more complicated when you arrive at Ban Phe. There are two reasons it gets more complicated. Firstly, there 5 piers rather than 1. You need to pick the right pier for the type of service you want. Secondly, you will inevitably receive lots of ‘help’ from people who want to steer you to their travel agency to purchase an overpriced ticket on a speedboat service. Its can be a lot of hassle which you can avoid entirely by travelling direct by minivan to connect with the ferry. This problem doesn’t just affect foreign tourists, Thai tourists from Bangkok also get conned in the same way. If you do want to do travel independently on this route and save money head to either Ban Phe Pier or Nuan Tip pier where you can catch one of the large passenger ferries over to Koh Samet for 70 THB per person. The speedboat services are quicker (taking 10 minutes as opposed to 40 minutes on the passenger ferry) but you will be charged from 200 to 400 THB per person, possibly more if you buy your ticket from a ‘helpful’ travel agent at the pier. The assembly point for this service is in front of McDonald’s fast food restaurant on the Khao San Road. Wait here for the Travel Mart staff to take you to board the minivan. The starting point for the journey with Mama Travel is their office just on the Khao San Road opposite the start of Sunset Street.